meth and arresting three suspects. According to the police, the trans-national ring is headed by a foreigner. On April 17, being raided by the police, the group abandoned the drug on the roadside near a salt field in Quynh Thuan commune, Quynh Luu district in the province. Two suspects managed to escape. 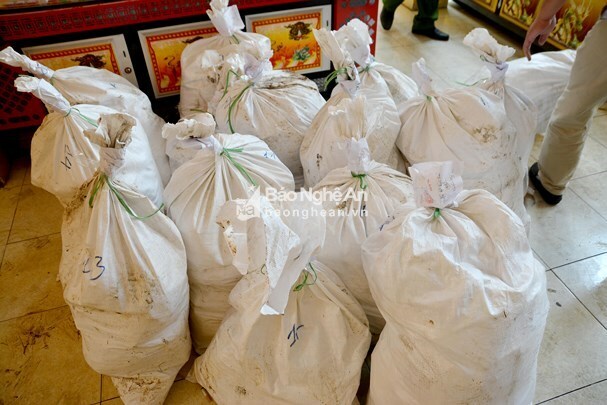 On 15:00 of the same day, the police checked the storage of Nguyen Thi Tam, a resident in Hamlet 1, Quynh Hong commune of Quynh Luu district, and discovered 50 cabinet loudspeakers and 50 carton packages which were used to hide drug.